During the floor talk, at 3pm on Saturday 25th February, Daniel will discuss the concepts for this exhibition which were nature based and inspired from ancient cave paintings. He chose several natural elements to work with combining them with the human form, exploring creative ideas in photography. A former technology information specialist, Daniel wanted to explore the world of art through the lens of a camera. “I want to reach a level of mastery – and understanding the rules of photography allows me to step outside them,” he said. 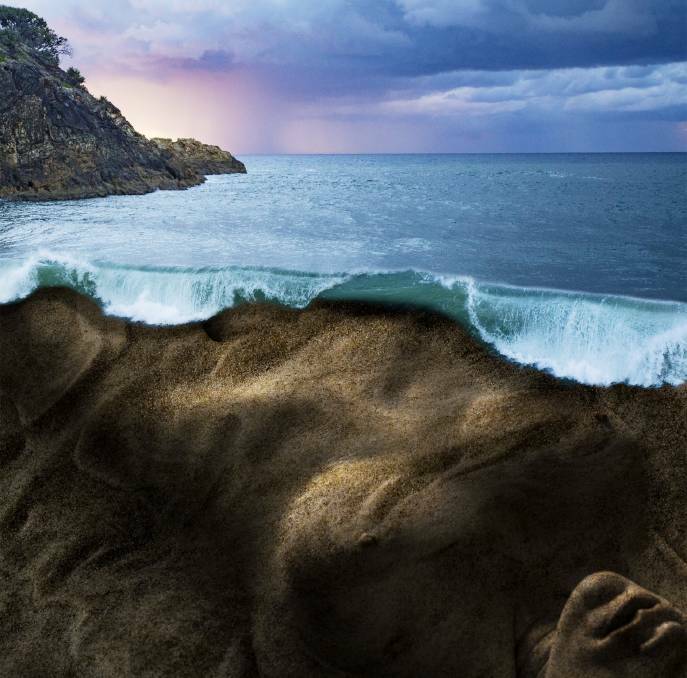 Daniel is evolving into a free-minded artist, with a passion to try to composite his images over stone and sand. He had to visit several locations to collect the assets he needed and his main concerns were with image quality and the correct lighting. He said that when he started working with photography of sand and with the element itself, he visualised the beach right where the ocean water moves back and forth on the shoreline – “and in the sand I could see the form of a human shape”. Don’t miss this fascinating exhibition – and you can even purchase postcard images of some of Daniel’s work to take home. The exhibition is on display at Redland Museum, 60 Smith Street, Cleveland, open 10am – 4pm.